It is a sad and true fact that high blood pressure, otherwise known as hypertension, is an ailment that is very common among elderly people in the world today. It is regarded as a major health problem in our society today. This is why high blood pressure treatment at home tips can be very useful in out today's world. 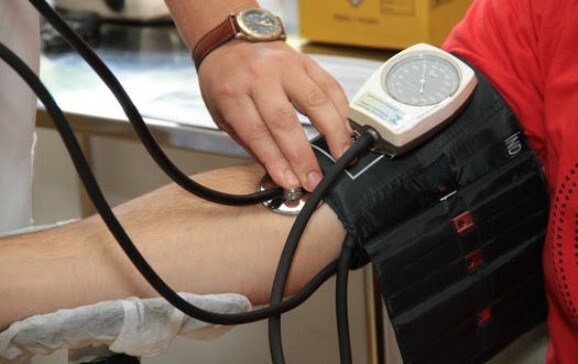 According to the National Institute of Aging, high blood pressure can further complicates to eye problems, stroke, heart disease and kidney failure. If you have a loved one suffering from high blood pressure and you are concerned about the fellow, there are many simple lifestyle changes you can recommend for him or her to lower their blood pressure without depending on medications. The following tips will be very useful for people who are asking questions like, how can we control high blood pressure? Sodium hold extra fluid in the body, thus increasing the blood pressure. This cause the heart to work harder, as reported by the American Heart Association. If you are concerned about your level of salt intake, you can easily minimize the use of salt in foods or eliminate it entirely. You can simply add other natural herbs and spices to liven up your meal instead of salt. For instance, you can add lime or lemon to dishes or ginger and garlic powder. Living a healthier life also involves managing your stress in a healthy way, despite you your age. Although blood pressure tends to increase with stress, there are no initial proof that stress is a culprit for chronic high blood pressure. But some people tend to manage their stress in a wrong way by eating unhealthy foods, drinking alcohol and smoking cigarettes. These unhealthy habits increases the risk of stroke, heart attack and high blood pressure. If you always over stress yourself, you should try and organise your daily tasks and make sure you have time for yourself as relaxation is very important in living a healthy life. According to medical experts, caffeine has the tendency of increasing your blood pressure, even for people who are not suffering from hypertension. So if you have been drinking lots of coffee during the day, you should consider switching to other health alternatives that energizes your body naturally. Or you can simple go moderate with your caffeine intake by only drinking one or two cups of coffee per day. Though there are no specific exercises that are designed for lowering bloo =d pressure, there are plenty of physical activities you can engage in to boos your overall health. In fact, simple daily activities such as walking, climbing the stair case, and doing some yard work can help lower your blood pressure. Other workouts such as jogging, swimming and cycling are also beneficial too. At the end of the day, all physical activities can contribute to your overall wellbeing. You should consider engaging in brisk walk on a daily basis, as it can help in lowering your blood pressure and lots more. As weight increases, blood pressure also increases as well. Being overweight can interfere with your breathing while you sleep, this can also lead to an increase in blood pressure. You should learn how to control obesity and maintain a healthy weight, this can be achieved by eating a balanced diet. A healthy diet should be rich in fruits, vegetables, whole grains and low dairy fat products. You should avoid processed foods and saturated fats, as this can increase your weight and raise your blood pressure as well. Eating healthier foods can help reduce fat and keep blood pressure low. All these are some important home remedies for high blood pressure that really works. You can simply follow them so as to control your high blood pressure. Kindly use the share buttons below to pass this message across to your loved ones on various social media.